Asia is home to the largest number of indigenous peoples on Earth, with an estimated 260 million of a total of 370 million original inhabitants worldwide, yet Asian indigenous peoples are among the poorest of the poor, often facing denial of rights, discrimination, marginalization and loss of control over their lands and natural resources. Within this context, indigenous women are the most vulnerable facing a “triple discrimination” on the basis of their ethnicity, socio-economic condition and gender. This threefold discrimination reverberates through all aspects of their lives, limiting the contributions that they could provide to sustainable development and achieving the Zero Hunger goal by 2030. In response, the Food and Agriculture Organization of the United Nations (FAO), and other partners, have launched an awareness-raising campaign to empower this group of disadvantaged women. “Indigenous women are key allies in the fight against hunger and malnutrition. They contribute to sustainable livelihoods as food producers, guardians of native seeds and custodians of traditional knowledge. 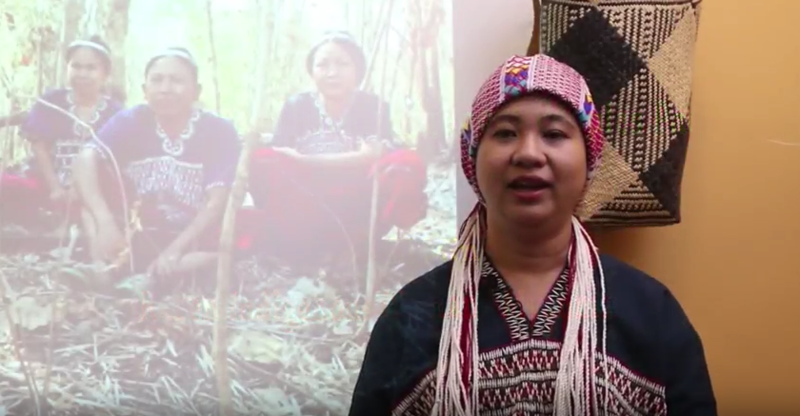 Yet they are invisible, and their rights are not recognized nor protected’, said Naw Ei Ei Min, of the Karen peoples Indigenous Women from Myanmar. Under the slogan Indigenous Women, Visible Women, and through its campaign, FAO and its partners, the International Indigenous Women Forum (FIMI/IIWF) and the News Agency of Indigenous and Afro-descendent Women (NOTIMIA), seek to raise awareness on the important contribution indigenous women make to food security and to advocate for the advancement of national policies of rural development and gender equality that address the specific needs of indigenous women. The campaign, featured on the side lines of last week’s 34th Session of FAO Regional Conference for Asia and the Pacific, will run until the end of 2018. The campaign calls on all sectors of the public, and from their fields of work, to support the greater visibility of indigenous women at political level, and in the context of decision-making processes, in their communities and countries. The main objective is to develop a variety of public policies to raise the visibility of indigenous women and back them up with disaggregated data collection. People from all walks of life are encouraged join this campaign, and more information can be found at FAO’s Indigenous Women Campaign website. Click on the image to listen to Ei Ei video message!